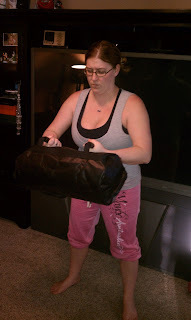 This is how I discovered The Ultimate Sandbag. This is a system that you can feel confident you are going to burn as many calories as possible - up to 600 calories in 30 minutes. 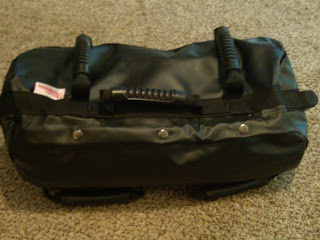 The Ultimate Sandbag Training comes in a variety of levels and difficulty as well as in several color options. There are "seven gripping options to train over 400 dynamic exercises. The Ultimate Sandbag filler bags are a clean and convenient way to change the weight of your Ultimate Sandbag to accommodate any fitness level or type of fitness." You can expect each Ultimate Sandbag to be waterproof and resistant to dirt, mildew, oil, salt, chemicals, and UV. So it is easily cleaned. A great perk about using The Ultimate Sandbag Training System is the fact that even though the material used is "30% stronger than any other material on the market today" it is still Non-abrasive and Non-irritating to the skin. With this type of training you are using a different weight lifting system where it is not a solid dumbbell or machinery. You can feel your muscles working harder to keep steady. I had a difficult time using this system at first because of the need for balance during some of the exercises however I felt a good all around burn every where. Recommendation: I foresee some serious weight loss in my future as long as I can stick with this! This is a great price especially when compared to the price of a gym membership and I thought it was extremely durable and well made.